Want to look young and have radiant skin? 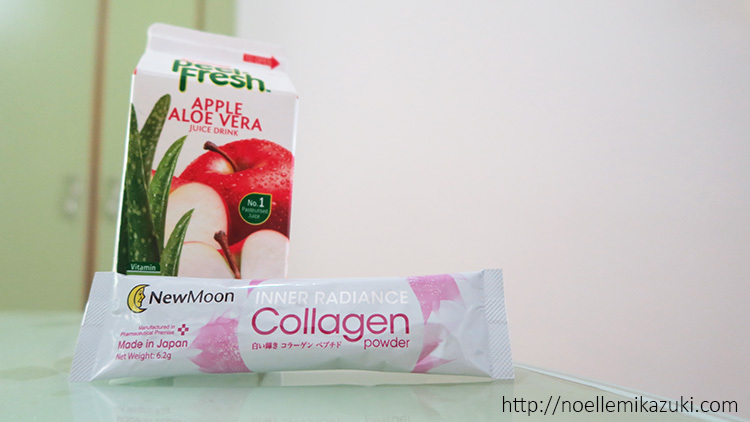 New Moon Inner Radiance Collagen Powder is formulated and manufactured in Japan with high collagen content that nourishes and brightens your skin to have radiant complexion! Not only does this product have anti-aging properties to rejuvenate your skin, it is also low in calories! The Inner Radiance Collagen Powder contains ingredients to aid in moisturising and whitening too, with high collagen dosage of 5460mg! 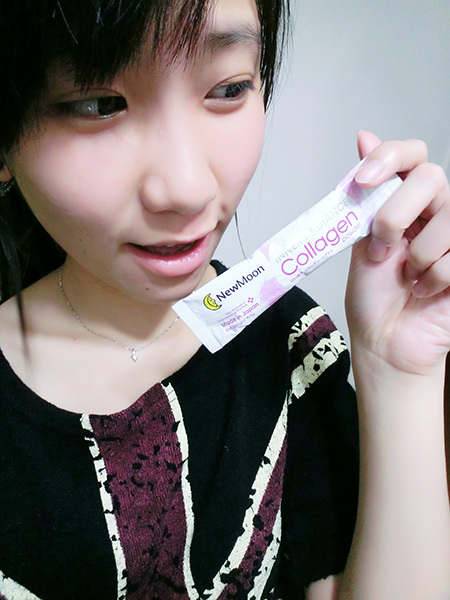 This collagen pack is super convenient and light!! So months back before the product was launched, a few bloggers and I were involved in the R&D process for this product - where we got to choose the packaging, test the product, do a before and after skin analysis. HORRIBLY 5 YEARS OLDER THAN MY ACTUAL AGE. So this was the analysis of my skin before and after almost a month of daily consumption. I consumed only 1 sachet (above packaging amount) of Inner Radiance Collagen powder per day, and after one month of consumption, my skin age dropped to 27! How amazing! My skin was more replenished with moist, not that I feel the obvious difference physically though. What I usually do, is to mix the collagen powder along with Apple Juice or yoghurt drink and slurp it down in the morning before my meals. You can mix it with your favourite drink, warm or cold - but do take note to not mix it with anything too hot cause the Vit C in the collagen will be destroyed at temperature 75˚C and above! 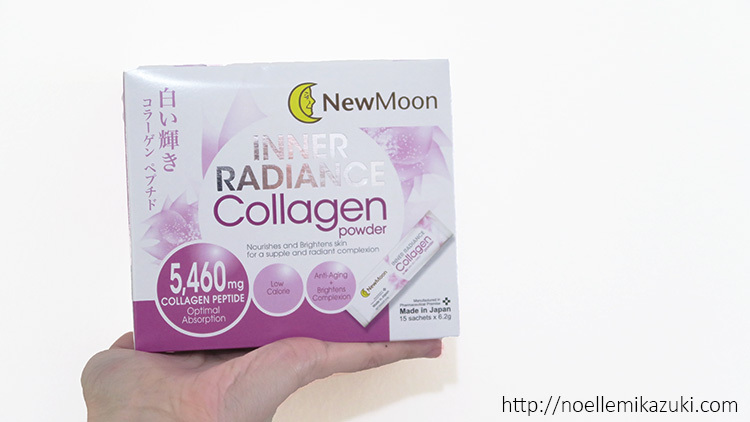 New Moon Inner Radiance Collagen Powder can be found at leading supermarkets, pharmacies, and selected departmental stores at only SGD49.90. Start your daily consumption of Collagen today! !